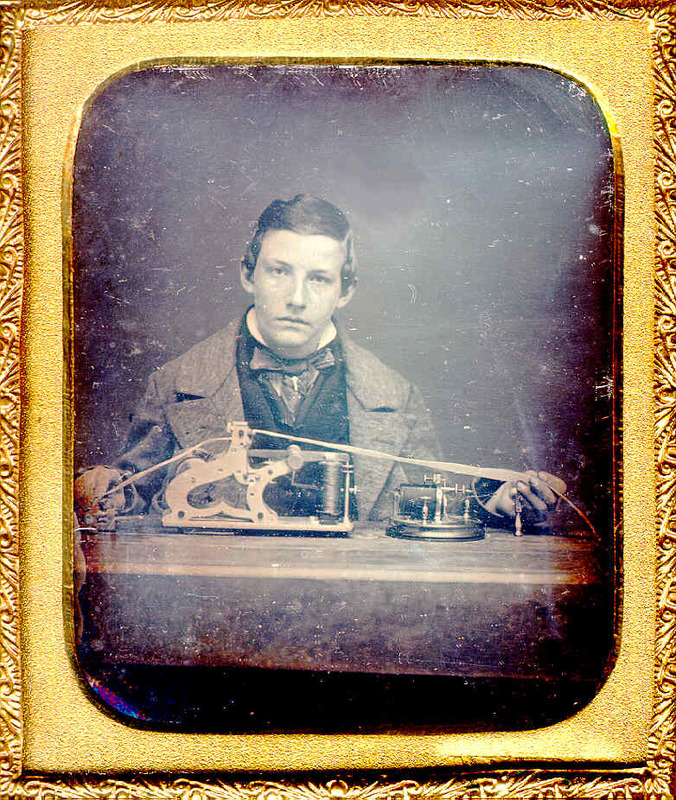 These daguerreotypes may be the very earliest actual images of telegraphers and telegraph instruments ever recorded. 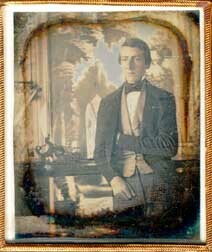 The first daguerreotype shows a very early Morse register that was made around 1850. A pointed stylus activated by an electromagnet made impressions of dots and dashes on a paper tape. The paper tape was moved by a weight-driven motor. The large weight can be seen hanging under the table. 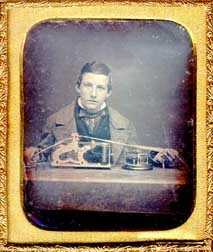 The second daguerreotype shows several telegraph instruments that were made slightly later than the one shown in the first illustration. The instrument on the left is a Morse register which made impressions of dots and dashes on the paper tape using a pointed stylus. The instrument on the right is a relay from the same period. A telegraph key may be visible on the far left. 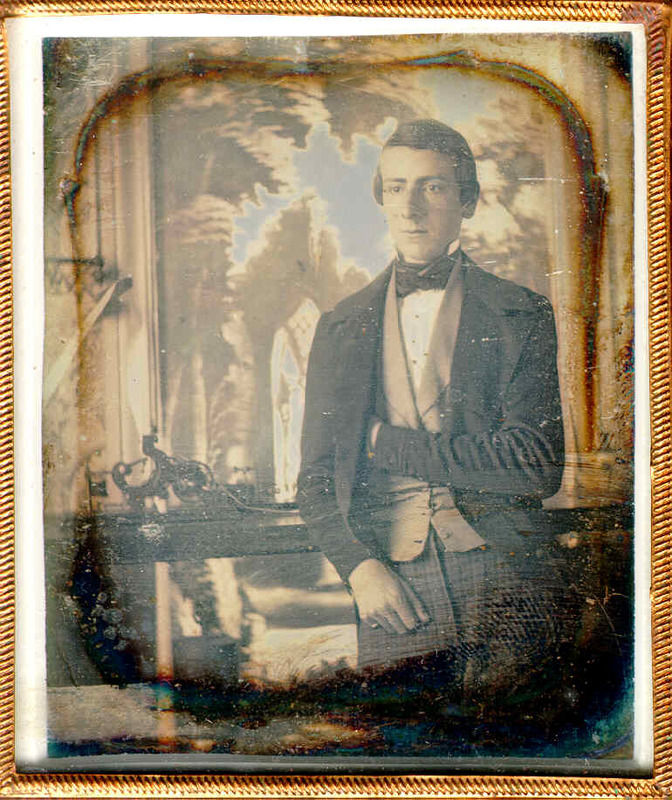 I would like to express my thanks to Mark Koenigsberg for allowing me to display images of his wonderful daguerreotypes in my museum.